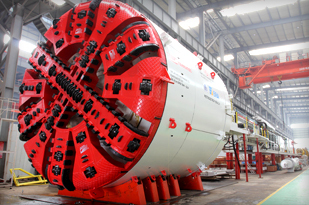 For tunnelling projects in soft-ground geology with small overburden, generally carried out under cities, the TBM has to control accurately the pressure in the excavation face, which must be higher than the one inside the boring machine. The Earth Pressure Balance Shield Machine (EPBM) evacuates the material through a Screw Conveyor. The pressure in the front of the machine is controlled by regulating the advancing speed of the shield and the evacuation flow. The EPBM can work with or without pressure in the front in stable layers. The Slurry Shield TBM is suitable for excavating soils with high water content. 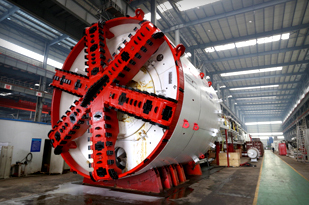 This TBM is equipped with a Slurry System which controls the pressure in the excavation face by injecting pressurized slurry into the Cutter Chamber where the slurry is mixed with the excavated material. The mixture is pumped out of the Tunnel to a separation and recirculation plant.